Feature makes commenting on Web sites more social, increases exposure. Facebook's updated Comments Box plug-in for third-party Web sites will make commenting on articles, blogs and such more social and will give users of these boxes added exposure. Now, when Facebook users posts a comment in one of these Comments Boxes, their comments will not only appear in the boxes on the third-party site, they will also appear in the Facebook user's news feed, showing that comment to Facebook friends—and increasing the likelihood that other friends will interact with the site. If friends then comment via Facebook on the initial comment they saw in the news feed, their comments, too, will appear on the third-party site, Facebook notes. "Liking an article was a way to signal to your friends that 'this might be an article you might be interested in reading,'" says Dan Rose, Facebook's vice president of Partnerships and Platform Marketing. "Now you can comment on that article and have that same effect of sharing the information with your friends and creating that interaction." The updated plug-in also allows some personal information about the commenter, such as their employer or the school they attend, to appear next to the poster's name—if this data is public in their Facebook profile. Site administrators will also find that they can ban certain words in the comment boxes, and even ban certain Facebook users from leaving comments in their boxes. 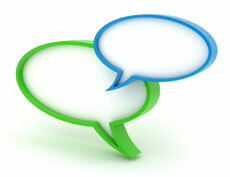 Users who would like to use the new comment plug-in will have to update the box's code, Facebook notes. Visit Facebook's Developer blog for more information on this. Focus your efforts to get the most impact for your online business. Location-based app lets merchants target local buyers. Reach across the Web to bring customers to you.